So since the summer has started I decided to indulge in some great shows on Netflix. After being asked so many times from people who did not attend an HBCU, did the show depict what it was like; I could not help but to watch The Cosby Show spin off. That is not the point of this post of course. I actually could not help, but to share with someone the relationship of Denise Huxtable and Dwayne Wayne. Dwayne Wayne adored her from the first day he met her in Gilbert Hall. At first, I’m not gonna lie he was such a pest to me. lol Like I just felt like he was overdoing it, but then I began to find myself rooting for him. Dwayne was a true gentlemen and just truly saw the beauty in Denise, even though she was very….odd. So of course at the end of season one when he wrote her the most beautiful poem and they kissed I just knew they would be an item going into their sophomore year. 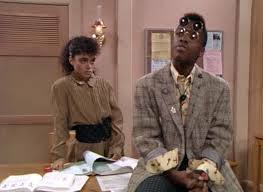 That was until I was CRUSHED by the fact that Denise would become the first Huxtable to be a college dropout. Then to really kill me, he later on marries Whitley Gilbert. So why is it that I have managed to type 200 words about relationships from a fiction sitcom that is 28 years old? Well, because I could not get past the life lesson that came from it. So often individuals feel like it is wrong to grow away from people. That if you share a strong connection with someone you are meant to be together forever. As if it isn’t possible to meet someone for the time being. There is a quote I remember reading, “people come into your life for a reason, a season or a lifetime.” When it is for a reason, it is usually for something that you have expressed. It could be to simply assist you in a difficult time, support you, to aid you emotionally, physically or spiritually. Without any bad blood just as that person has walked into your life they can walk out. Instead of dwelling on this, we must understand that they prayer you sent has been answered and now you must move on. When an individual comes into your life for a season, it could be to help you flourish. They bring to you something that you have never experienced before. This individual usually will literally overwhelm you with so much happiness, but it is only for a season. 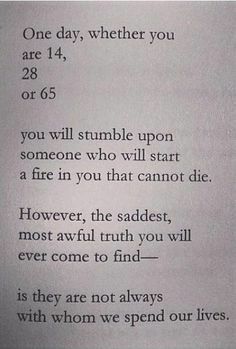 Then their are the individuals who come into your life for a lifetime. You will find that it is easy to build a solid foundation with them, You learn to accept these lessons, love the person and then reciprocate what you have learned into other relationships. You see it isn’t always bad when relationships end because sometimes it is temporary. You or that individual serve their purpose and you move on. You do not shed a tear that it is over, but smile because it happened. In this lifetime you will meet so many different people, with different distinct memories that one cannot replace the other. Cherish those memories, cherish those individuals, but continue to move in the direction that you are meant. Next Next post: Same Stuff, Different Day .